The Polar RS800G3 heart rate monitor is a top-spec advanced heart rate monitor with speed, and distance measurements for multisport athletes who engage in outdoor pursuits such as running, cycling, hiking, kayaking, cross-country skiing, and inline skating etc. 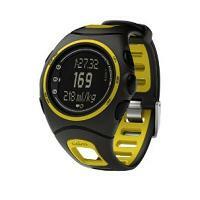 It consists of the Polar RS800 heart rate monitor plus the Polar G3 GPS Sensor. To use it, simply attach the GPS Sensor to your upper arm and then start your outdoor activities. 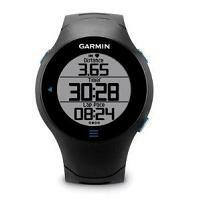 The GPS Sensor sends the measured speed and distance information to the wrist watch. Note that the GPS Sensor only works outdoor when the view of the sky is unimpeded since it relies on satellite technology to give it speed and distance information. If you are mainly running indoor on a treadmill or on an indoor track, then consider the Polar RS800SD instead. Important Note: The Polar RS800G3 has been superceded. Its replacement is the Polar RS800CX MULTI. The Polar RS800CX MULTI now supports GPS tracking. In addition it works with the optional Polar Speed Sensor W.I.N.D. 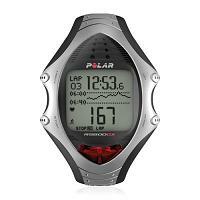 and optional Polar Cadence Sensor W.I.N.D. for cyclists. To save space, the common features between the Polar RS800 and the Polar RS800G3 heart rate monitors will not be repeated. Please refer to the RS800 page for information about the common features. 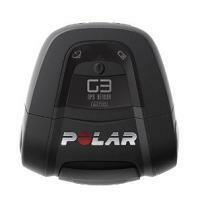 Polar G3 GPS Sensor: You attach it to your upper arm to measure speed and distance. Training limits can be set on your speed/pace. When you run/cycle/move too fast or too slow, you get to hear a beep to remind you to slow down or speed up, respectively. On Polar RS800, a timer can be set to beep (after an elapsed period of time) to alert you to start training in another target zone i.e. a time-based interval can be created. On Polar RS800G3, a distance can be set to beep (after a certain distance has been traversed) to alert you to change into another zone. This creates a distance-based interval. It is possible to do a speed/pace based zoned exercise by defining (up to) three speed/pace zones in a single session. You can, if you wish, use three distances to define how far you are going to train in each speed/pace zone and to remind you to change zone. If you start exercising without pre-set target zones, you can use ZoneLock to lock in a speed/pace zone around your current speed/pace. While running/cycling/moving outdoor, the wrist watch shows various views of your progress including your current speed/pace and distance. AutoLap function: The Polar RS800G3 heart rate monitor can be set to record laps automatically, for example, every mile. Remember: It is a distance sensor so it knows when to record laps. 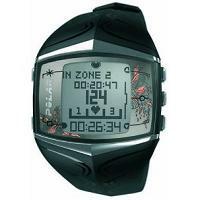 It is possible to choose whether you want to display speed or pace on your wrist watch. Choosing speed displays mph (miles per hour) or km/h whereas choosing pace displays min/mi (minute per mile) or min/km. Most runners think intuitively in terms of pace. They say: I am going to do 6 minute mile for the 10K. I plan to do 7 minute mile for the marathon etc. So this is a great convenience for you as a runner. Additional full summary (File) info: Limits of pace/speed zone(s), max pace/speed, average pace/speed, distance covered, Running Index. For each lap, you can now view the average pace/speed of the lap, the end pace/speed of the lap, the lap distance and the distance from the start to the end of the lap. Distance runners are often keen to know what their pace is (was) at various stages of their race. The Polar RS800G3 heart rate monitor gives them just that information. And if the AutoLap feature is switched on, this is even done automatically. Running Index: This index measures how good you are as a runner. It is a measure of your aerobic fitness (VO2 Max) and exercise economy. You get the Running Index as a number at the end of each run if you use the GPS Sensor. This number is stored and you can compare numbers from successive runs to see if you have improved as a runner. 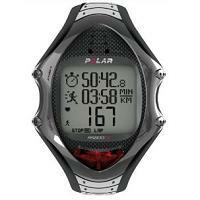 The Polar RS800G3 heart rate monitor is one of the most advanced running monitor systems that Polar offers. The G3 GPS Sensor enhances greatly the capabilities of the RS800. The system is designed for the needs of dedicated and elite athletes training outdoors. Should you at any point in the future, decide to train mainly indoor, either running on a treadmill or on an indoor track, then you can simply purchase the optional S3 Stride Sensor. 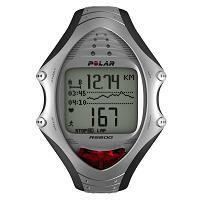 The Polar RS800G3 heart rate monitor is a really flexible and comprehensive training system.